Successfully eradicating bed bugs from your home can be a daunting task and it often takes a professional’s touch to fully eliminate them. 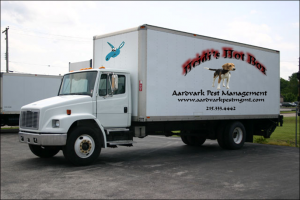 However, if you’re willing to give it a shot of your own, we here at The Aardvark Pest Management have put together this comprehensive guide on how to remove bed bugs once and for all! First and foremost, you need to fully determine the presence of bed bugs. If you don’t know how, we have a guide to bed bug inspection and detection that will help you identify any bed bugs. Next, if you have any sort of hunch that you have bed bugs it is important that nothing leaves the room without treatment or inspection. It is very easy for a bed bug to be attached to anything in the room and by removing that item you could possibly contaminate another room of your home. Begin at your bed and work outwards. Remember, bed bugs can get into the tiniest of nooks. Thoroughly check the seems of your mattress and box spring and also dismantle the bed frame and headboard. If any bed bugs are present, vacuuming is a good way to remove the accessible bed bugs from the area. Also, don’t forget to check behind light switch and outlet covers. These bugs really can get anywhere and its important to check everywhere to ensure a complete removal of the pest. Another hiding spot to check would be behind baseboards, even though it takes a bit of extra work it is well worth the extra effort to have a safe peace of mind. Even if you don’t find anything, it is a good idea to bag items and treat them with heat if possible. This ensures that every step has been taken to eliminate the bed bug problem, even if you haven’t seen any. If items have been found that are chosen to be disposed of, wrap them in plastic and through them in the garbage. Make sure that these items chosen for disposal are not sent to recycling centers as it is possible for the bed bugs to survive and contaminate that facility, allowing for a wider spread of the pest. Best for application on flat surfaces, liquid sprays work well on carpet edges, baseboards, beds, couches and other upholstered furniture. We also used pressurized aerosols that get deep into cracks and crevices to wipe out the bed bugs. Dusts are long lasting and safe around electrical outlets and are best implemented inside wall voids, furniture legs and under bed platforms. Structure heat treatment is the only process which kills all stages of a bed bug in one day. 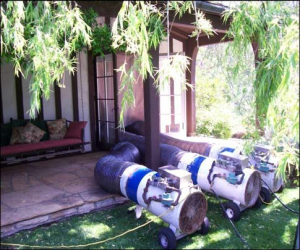 We simply elevate the air temperature of a structure or the area of a structure to a level which is lethal to bed bugs. Additionally, this approach is a non-chemical and non-toxic way to kill bed bugs within 24 hours, leaving your house almost immediately liveable with no worries of chemical contamination. Vacuuming has proven to be an effective way to remove bed bugs and the dirt that provides them their essential shelter. You should vacuum your furniture, bed frame, floor and base boards and wherever else you found bed bugs. If you chose to remove any items from your home during your removal process you should make sure to mark each item or destroy the item so that it won’t be used by anyone else, alleviating the spread of bed bugs to foreign places. 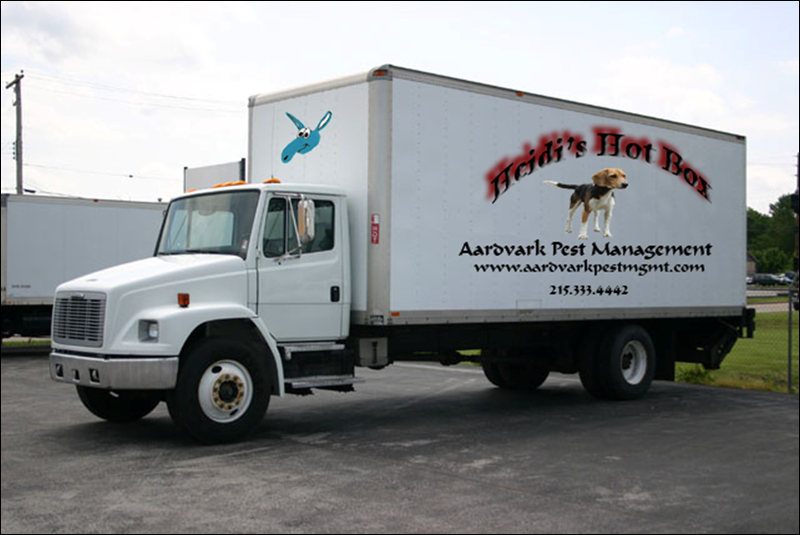 The Aardvark is happy to bring a heated truck directly to your location to kill your bed bugs on site. We have a specially built truck that can be driven to the infested building, loaded with commodities and then heat treated, allowing for your items to be brought back into your home the very same day! It really is as simple as loading all of your belongings in the truck, shutting the door, baking them to the required temperature and moving them back into your home after the bed bugs have been destroyed. With our spot freezing service, pressurized CO2 is released and deposited onto the infected surfaces. Looking just like snow, the carbon dioxide comes out at a temperature of -108 degrees and kills bed bugs by rapidly freezing them to temperatures ranging from -4 to -22 degrees. While the fumigation of bed bugs works well on furniture, clothing and other personal items and can kill bed bugs of all stages, it does not prevent against re-infestation. Fumigation of an entire building is also equally as effective, but also does not prevent against re-infestation and also poses the logistical headache. Ready to Call the Experts? We hope this article has given you a good understanding of the amount of work it takes to full kill of bed bugs in your home. 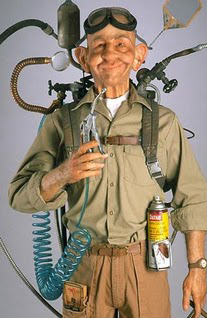 If you think you’re in a bit over your head, feel free to give us a call today and one of our live representatives will be glad to set you up with an appointment to a bed bug free home today! Remember, when the aardvark is on patrol, mother nature is at work!